Another new greeting card. Do you know someone who's expecting? This is a perfect card for them! 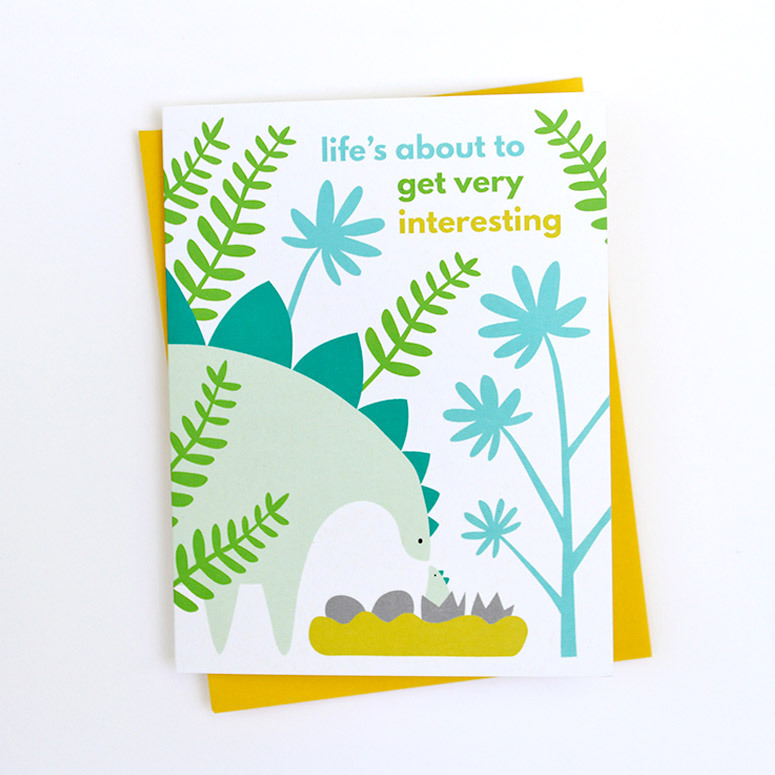 It features a sweet mama stegosaurus and her new baby. Stock up for baby showers and welcome care kits. This is a unisex and gender neutral greeting card for new parents. Card is printed in the USA on recycled paper.